Almost half of online adults aged 18+ in Wales (46 per cent) say they always, or almost always do nothing when they see someone in the street who is homeless, compared to 54 per cent across the UK. More than a quarter of people in Wales say the main cause of homelessness is alcohol or drug addiction (30 per cent), followed by debt (20 per cent), according to new research commissioned by The Salvation Army and carried out by Ipsos MORI*. The Salvation Army also carried out a survey of more than 300 residents of its centres (Lifehouses) for people experiencing homelessness, including Swan Lodge in Sunderland, and reveals a worrying gap between the reality of what it’s like to be homeless and the perception of the general public. The Church and charity is warning that without greater education this gap will widen, making it harder for people who are experiencing homelessness to get their lives back on track which could risk increasing the cost to society in the future. The Church and charity’s survey of its Lifehouses, reveals the main cause of homelessness is relationship breakdown (43 per cent), followed by a combination of issues (16 per cent), physical or mental health problems (13 per cent), job loss (11 per cent), then addiction (10 per cent), and finally debt (6 per cent). Major Russell said: “While the general public appear to be aware that there are a variety of causes of homelessness, more than a quarter of people incorrectly perceive drug and alcohol addiction to be the main cause. While revealing that 73 per cent of those in Wales say that at least some of the time they do nothing when they see someone who is experiencing homelessness, 41 per cent say they give cash at least sometimes, 26 per cent sometimes purchased something to eat or drink and 15 per cent say that they at least sometimes find out where the nearest homelessness service is and pass on the details to the person who was sleeping rough. Major Russell continued: “We find it quite shocking that such a large proportion of the public polled would simply walk on by, doing nothing for a person sleeping rough. The Church and charity’s survey of Lifehouses reported that 89 per cent of residents agreed that if there was one thing they wished they’d known before they experienced homelessness it was that it can happen to anyone. The Salvation Army believe the Ipsos MORI research reveals a lack of understanding around who can be affected by homelessness as 21 per of people say it is not at all likely that someone with a job that requires a professional qualification could ever become homeless. Interestingly the survey of Salvation Army Lifehouse residents shows that 72 per cent worked before they experienced homelessness. In addition, 65 per cent reported that employers treat them differently when they find out they’re homeless. For 70 per cent people in general treat them differently because they are experiencing homelessness. Damon Short is a resident at Ty Gobaith Lifehouse in Cardiff. He lived on the streets for over 30 years after being in care, approved schools, hostels and jail. He was approached by an outreach worker of the Bridge Programme at The Salvation Army and slowly began to rebuild his life. He is now a volunteer on the church and charity’s Bus Project for rough sleepers and credits The Salvation Army with helping turn his life around. He said: “My early experiences in life made me institutionalised but I liked being on the streets because I was meeting new people and there was always something new to do etc. So my life (existence) was centred on drink and drugs resulting in me having no food – this was my situation for a long, long time. “My Mother moved to Cardiff and I started to help her as she was alcohol and hash dependant. It made things easier for me to see her but to be honest this also made things harder for me as my health was getting worse daily. “During one of my admissions to hospital for my drinking I was approached by the outreach worker of the Bridge Programme at The Salvation Army. A place was made available and even though I was unsure about what it was or what I could do there I accepted it. During the early days of being there a few of my friends passed away and I found the programme hard to say the least. I eventually got my detox date in the local hospital – this really scared me and I wondered what would be left in life or how I would feel without drink or drugs in my life. “I completed my detox – I was chuffed, I’d actually done it. It felt all new and weird at first, I wasn’t too sure if I liked it or not. After a few weeks my Mother had become more and more withdrawn, her moods had changed which sadly resulted in her taking her own life. I was devastated! I attended the cremation but didn’t want to attend the wake as I knew it could start me back drinking and if I started drinking over this sadness I wouldn’t come out the other side whole. “This actually made me stronger and gave me such determination to stay dry and clean. Initially I thought the Bridge Programme wasn’t what I wanted – how wrong was I! After a little time I started with help to deal with my feelings and thoughts, it was then that I started to live rather than exist! The daily group sessions became exciting and I engaged fully in them, this boosted my confidence and self belief. I started to volunteer at a Peer Mentoring Group after passing the appropriate courses arranged by the Skills department. My courses have given me options to eventually achieve a NVQ via OCNs and Learn Direct. “Recently I have regained contact with my children after seven years which is brilliant. I also volunteer on The Salvation Army’s Outreach Bus Project with the rough sleepers of Cardiff – I enjoy this immensely as I relate fully. It will only be a matter of time before I also start to assist at the local needle exchange project. “All these placements and meetings are so worthwhile as now I’ve a purpose to get up in the mornings; my confidence and independence is such that I can’t wait for my own property to become available. The survey of Lifehouse residents reveals 68 per cent feel that people see their homelessness rather than them as a person. The Ipsos MORI survey of online adults in the UK goes further in revealing the challenges faced by people once they have secured somewhere permanent to live and got their lives back on track, as 58 per cent agree that employers are less likely to give jobs to people who have previously experienced homelessness. The Salvation Army is an expert in running services for people experiencing homelessness and understands that a tailored and personal approach is needed when providing support. The Church and charity is keen to demonstrate that it’s not a simple case of providing accommodation as it employs a skilled workforce who are there at every step of the way to walk alongside residents and equip them with the skills and support they need to reach their full potential, whether that be employment, re-connecting with family or beating an addiction. In total The Salvation Army have more than 80 homelessness services around the UK and the Republic of Ireland. It runs a number of courses and activities at all it’s Lifehouses which range from employment skills and cookery classes to how to keep their tenancy when they get somewhere to live, an important part of breaking the cycle of homelessness. 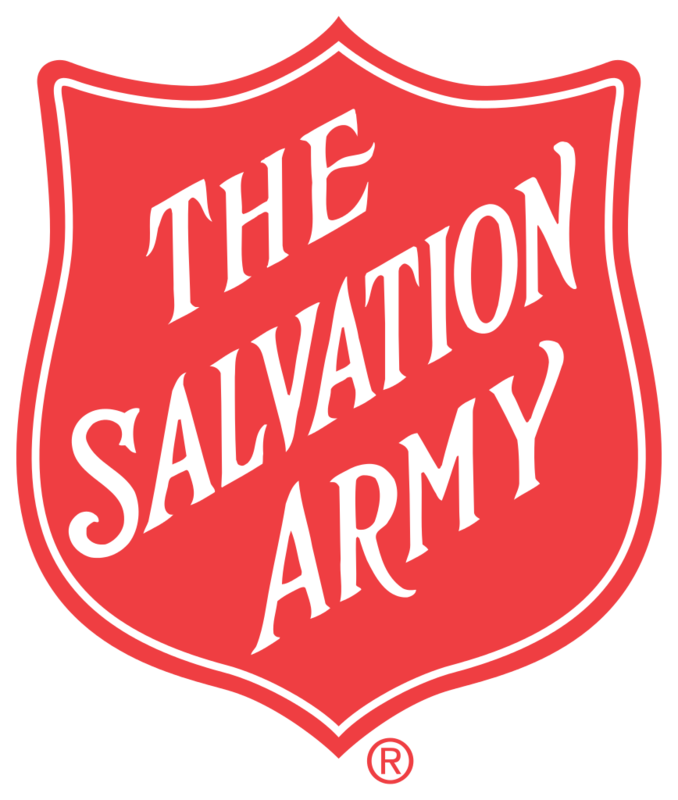 According to The Salvation Army’s survey, 76 per cent of residents take part in at least one activity on offer and 32 per cent do all the courses available to them, which the Church and charity believe shows how keen residents are to get their lives on track, if society will allow them the opportunity. This year The Salvation Army is celebrating 150 years of transforming lives and it is still at the heart of every community today, supporting those in need. If a member of the public sees someone rough sleeping The Salvation Army would like to suggest the public visit their local council’s website for 24 hour assistance on what they can do to help someone who is sleeping rough or experiencing homelessness.